What happens when we see? Information in the form of light waves is projected from the external world via the opening in the iris onto a highly sensitive screen called the retina, a layer of cells extending over virtually the whole of the inside of the eye. 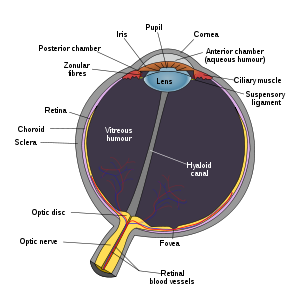 These cells translate the light stimuli focused upon them into nervous impulses and transmit them to the brain for interpretation by means of the optic nerve. Only then can the ‘seeing’ really begin and concepts such as color, movement, space and shape take on real meaning. Situated at the rear of the skull is an area known as the occipital lobes. This is the section of the brain which registers sight. A blow on the back of the head can produce blindness, even though the eyes themselves remain intact. Here resides the key to the sensation of sight. You do not even need your eyes open to experience it. One can visualize anything in the mind without the use of the eyes. This happens when you have dreams, or hallucinations, or when you imagine. Effect: Binocular vision – the combined efforts of both the eyes is responsible for seeing a hole in your hand. Propos: A magazine or thick board rolled into a tube secured with an elastic band, pen or pencil. Method: Hold the tube in your right hand up to your right eye like a telescope. 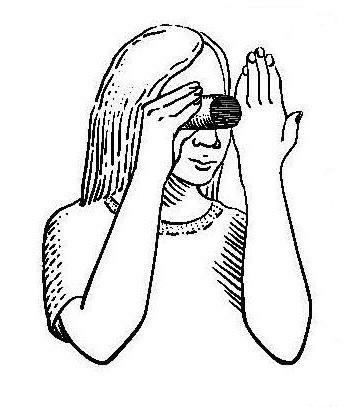 Now hold your open left hand, its palm towards you, and its edge against the tube in front of your open left eye still focused ahead. Focus both your eyes ahead and both images will merge into one. The whole in the tube appears to be in your hand. You slide your hand along the tube until you find the hole in the centre of your palm. Now ask someone to pass a pencil through the tube and you will actually se the pencil passing through your hand. Effect: Illusion of floating finger with nails at both ends in between your two pointing fingers. Method: Hold the index fingers of both hands horizontally with their tips near the bridge of your nose without touching each other, nails facing up. Look straight with both your eyes at a point on the distant wall while you can still see the points of both your fingers out of focus. Then slowly separate the finger tips and you will see a finger with nails at both sides floating in between the two pointing fingers. This is because when your eyes are focused n the distance, the retinal image pertaining to nearer objects in the right eye is prevented from fusing properly with its counterpart in the left. The two images become staggered in such a way that you see the tip of each finger twice.